A computer simulation of the powerful jets generated by supermassive black holes at the centres of the largest galaxies explains why some burst forth as bright beacons visible across the universe, while others fall apart and never pierce the halo of the galaxy. 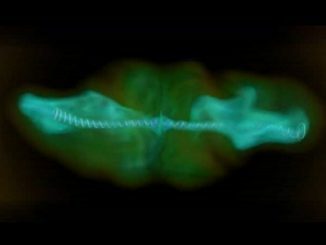 A jet’s hot ionised gas is propelled by the twisting magnetic fields of the central rotating black hole. In many ways stars are like living beings. They’re born; they live; they die. And they even have a heartbeat. Near the end of their lifetime they begin to pulsate, increasing and decreasing their brightness by a large amount every few hundred days. 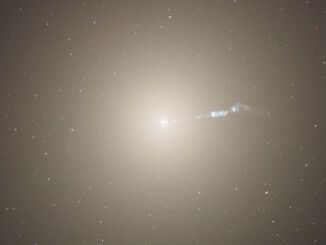 Using a novel technique, astronomers have detected thousands of stellar “pulses” in the galaxy Messier 87 (M87). Their measurements offer a new way of determining a galaxy’s age. 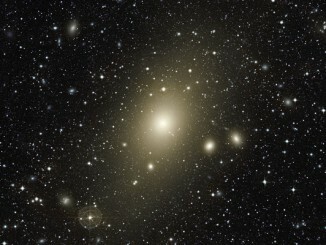 M87 is a giant elliptical galaxy with a total mass more than a million million times that of the Sun that lies at the centre of the Virgo Cluster about 50 million light-years away. 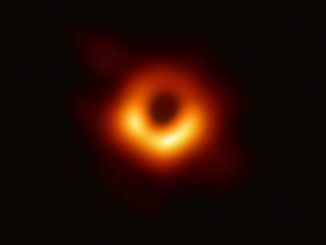 New observations with the European Southern Observatory’s Very Large Telescope have revealed the full extent of the galaxy’s cannibalistic nature.